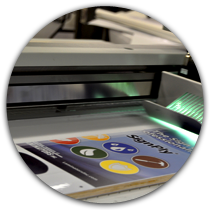 Digital Print | Laminators Inc.
Digital printing is an extremely versatile type of application that you can use for practically anything. Growing in popularity is using digital print on ACM panels. It delivers a clean, vibrant sign that will get noticed. Because of its multipurpose characteristics you can digitally print on all of our sign panel products.